Pinus wallichiana is a large broad-crowned evergreen tree, forming an elegant pyramidal specimen tree at maturity. It has soft long, slender, drooping blue-grey needles. The cones are initially green-violet, slender, like bananas with pearls of thick resin, turning light brown when mature. 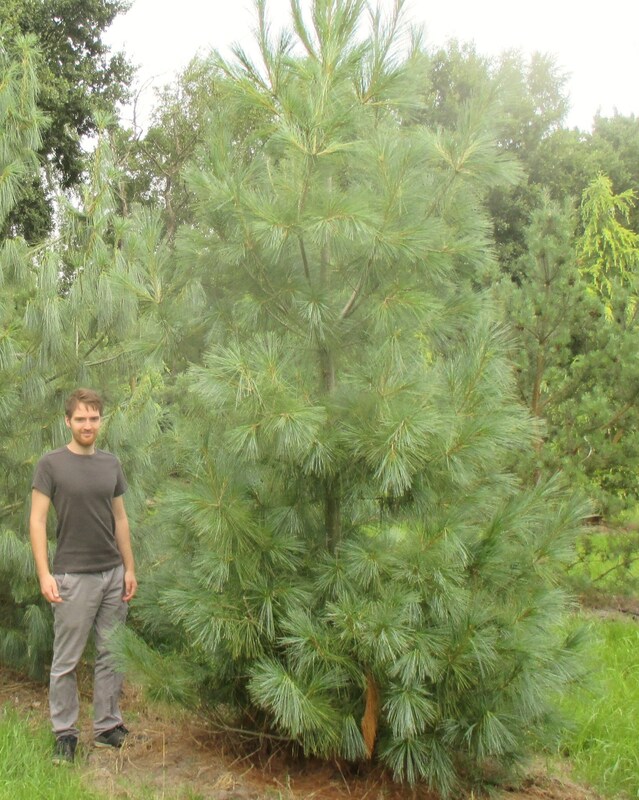 Bhutan Pine needs warmth and a sheltered position; prefers well-drained soil and is a great choice for parkland or large gardens. Its mature height is around 15 to 20m.